Joshua Moore continues his terrific record breaking senior season in the first round of the playoff last Friday night. The 4-star wide receiver commit carried the ball four times during Yoakum’s 55-8 victory over Universal City Randolph. He scored on three of those carries. Moore tallied 154 yards and scored on runs of 65, 39 and 22 yards. Moore is certainly making the most of his senior season and as we know from his weekly diary with Hail Varsity, he has his eyes squarely on a state championship. As for where things are in his recruitment, he plans to visit Florida State officially on Dec. 8, which is really the best-case scenario for the Huskers. It’s a late enough visit that there is time to get the coaching situation figured out and pitch to him before he is even able to make that trip. With UCLA making the sudden move away from Jim Mora yesterday, that adds another high-profile job to the open market. For my purposes here though, it also adds another slew of recruits that are now in flux. So are there any recruits on the UCLA commit list that could be in play for Nebraska now? As of right now, the only name that’s realistic is 3-star offensive lineman Chris Bleich‍. He took an official visit to Nebraska for the Northwestern game and had a great visit. When Mora was fired yesterday, he tweeted this out. Bleich has been in play for a while and has a scheduled visit to Mississippi State this month. I’ve lamented on the site before that it would be a great year for Nebraska to have stability to have a better chance to take advantage of all the upheaval around the country. As it stands right now, it’s incredibly difficult for Nebraska to capitalize on all the movement this season. There were a couple of visits that occurred this weekend that should really perk Nebraska fans up but not in a good way. First, 2018 3-star DE commit Tate Wildeman‍ out of Colorado took a trip to Washington State for an official visit. Wildeman has been as solid as a commit can be throughout the season and has repeatedly said he can’t wait to get to Lincoln. 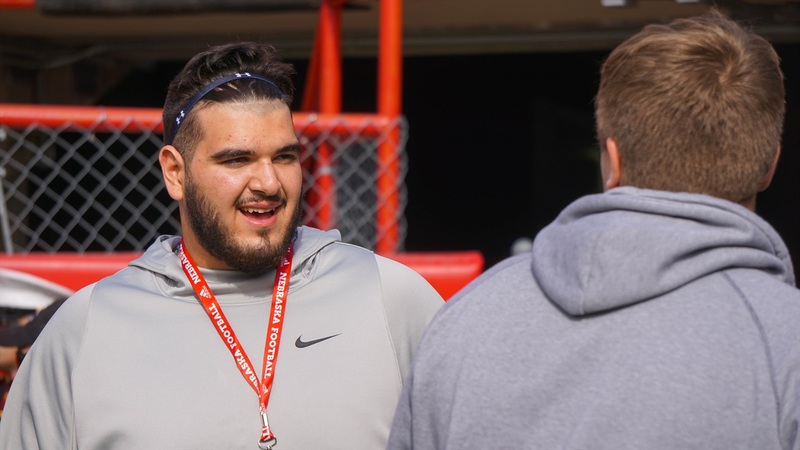 I don’t think this visit will make him immediately reconsider his pledge to Nebraska, but he does have to line things up just in case with a new staff likely coming in. It’s especially important for him to have a chat with the new coach because he is being recruited as a 3-4 defense end and a scheme switch could possibly change where he ends up. The other visit of note was with a big time 2019 target. Four-star Omaha Burke linebacker Nick Henrich‍ took a trip to Madison to visit Wisconsin. I believe that getting Henrich in the 2019 class is a top priority. I value big-time local talent and it becomes even worse if those players get away and you have to face them for four years at another Big Ten school. Henrich now holds a handful of Big Ten offers including Wisconsin and Iowa. He has the potential to be the best player in the state for 2019. Congratulations to Huskers 4-star wide receiver commit Cameron Brown and his Christian Brothers College (Missouri) teammates for winning the state championship this weekend. CBC is a great program and Nebraska currently has running back Tre Bryant on its roster from the school. The team really fought through a lot of injuries to win that title, including their other star wide receiver, 4-star Kamryn Babb.